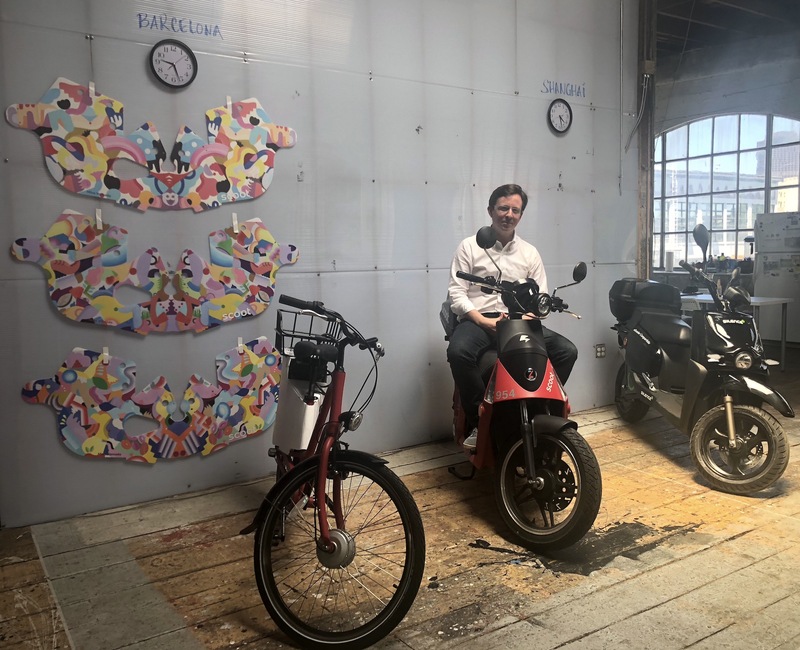 Scoot, the electric moped company that first launched in San Francisco, is deploying two new modes of transportation in Barcelona. The first is an upgrade of its original scooter that the company deploys in San Francisco. Instead of maxing out at 30 mph, this new moped can go up to 60 mph. The second mode of transportation is a good old-fashioned pedal-assist bicycle. To support Scoot’s ambitions in Barcelona, the company has a team of 20 people based in the European city. Specifically, Scoot will deploy 1,000 bicycles that can lock to bike racks and other city infrastructure. Scoot also will deploy 500 electric scooters, designed by Silence. These mopeds are designed to not only drive faster, but also be more durable and carry up to two people. But Scoot won’t be the only shared electric moped and bicycle service in Barcelona. Instead, it will join the likes of moped startups Yugo and eCooltra, and bike-share startup Bicing. That’s because Scoot has been working with the city since 2012, and has, in Keating’s mind, proven its ability to work well with cities. Scoot was quite early to the concept of shared mobility that you can leave and pickup anywhere. Fast-forward a few years and now we see Lime, Bird, Spin and JUMP hitting the streets with electric scooters and bikes. Despite the entrance of several new mobility players in San Francisco, Keating said Scoot hasn’t seen any dips in ridership. Whether Scoot gets into stand-on scooters remains to be seen. Keating said he recognizes they’re a “cool product” but he has an issue with how often people ride them on sidewalks. You may also remember when Scoot launched 10 of those mini electric cars that could hold up to two people. Scoot has since pulled them from the streets, but Keating said the company is currently looking for the right electric car for San Francisco.